Before opening up LSM, Marr had worked in the insurance business as a captive agent with MetLife since 1993. During his time at Metlife, Marr won many sales awards. In the early 2000’s, he decided he wanted to own his own office and be able to offer his clients a wider range of policies. The big moment came in 2004, when Marr decided to start up his own agency, starting from scratch. From day one, Marr worked together with Foliovision, from choosing a domain name together and creating a corresponding logo. 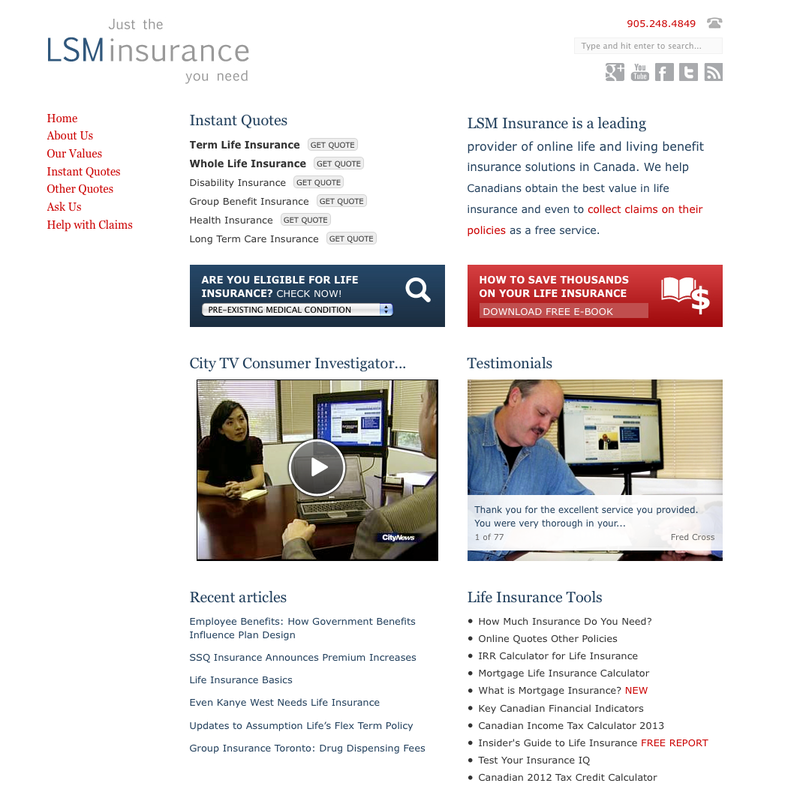 Lorne Marr’s website, LSMinsurance was launched in 2005. "In those days “the online environment was completely different than it is today”, says Marr. “Insurance companies had sites but most were not pursuing internet business actively.” That made the starting situation easier for Foliovision and LSM, with only other brokers with whom to compete. For the first few months, pay per click advertisements were the core of the marketing strategy for LSMinsurance. Kinnear’s pithy paid advertisements proved to be a early and big win for both Foliovision and Lorne Marr. The immediate results helped Marr kickstart his business, hiring more brokers and also provided funding to steadily improve the website. In late 2007, other insurance companies ramped up their online activity, more than doubling prices. With the increased cost of ads and greater competition, Lorne realised the time had come to shift to SEO. For the first few years Foliovision wrote most of the content but eventually both sides decided it made more sense to train Marr up as the principal writer and editor-in-chief for in-depth insurance material. Today, Marr has a team of writers working on his ideas. Apart from fresh high quality content, LSMinsurance.ca contains features and tools that make its visitors keep coming back year after year. The Income Tax Calculator, was introduced in February 2008. According to programmer Peter Baran, the calculator brings many repeat visitors to the site. The feature is always kept up-to-date, but its older versions are available as well. “It takes a lot of time and money to keep the calculator updated”, says Kinnear. The income tax calculator is very popular, however, so the time and the money are well spent. There’s even a Canadian Income Tax Calculator iPhone app on the way. Over the years, there have been several visual iterations of the LSM Insurance website. Version one was a quite sober white and blue affair, designed to look its best on 800 pixel wide monitors. In spring 2008, it was time to update to something a bit flashier and web 2.0. Italian designer Matteo Rattoti flew in to Bratislava work with Foliovision for a few weeks on a sleek silver and grey and blue look which lasted until summer 2012. The current logo with the tagline "Just the insurance you need" was created in 2008. The current design is far from looking overcrowded. “The new site is focused on readability and information. It could easily pass as a website of a hospital or of a government,” notes Foliovision art director and co-creator of the new look Michala Lipkova. LSMinsurance.ca has earned a great reputation, with Marr and LSMinsurance regularly cited in mainstream media like CityTV, The Globe and Mail and Toronto Star. A simple way to measure the success of the Foliovision-LSMinsurance.ca collaboration is via traffic numbers. In the first full year of the website 2006, 94,477 unique visits were recorded. For a new website, that is not bad at all. Pay per click ads clearly did their job very well. However, due to growing online competition and increase in the price of paid advertising, the numbers went down in 2007. *Since the strategy has shifted towards SEO and high-quality content, unique visits have only risen over time. In January 2008, the number of visits was 7,978. Six months later (and five months after the income tax calculator was introduced), monthly visits had tripled to 22,868. Huge gains were made between the years 2007 and 2008 with a nearly fourfold jump of visits from 84,896 to 269,776. Every year is more successful than the previous one. 2012 has been the best so far, with over 1.5 million unique visits to the website recorded. After the first month of 2013, it looks like in 2013 visits might double again in 2013. Over the years, Foliovision’s role in Lorne Marr’s business has steadily changed. 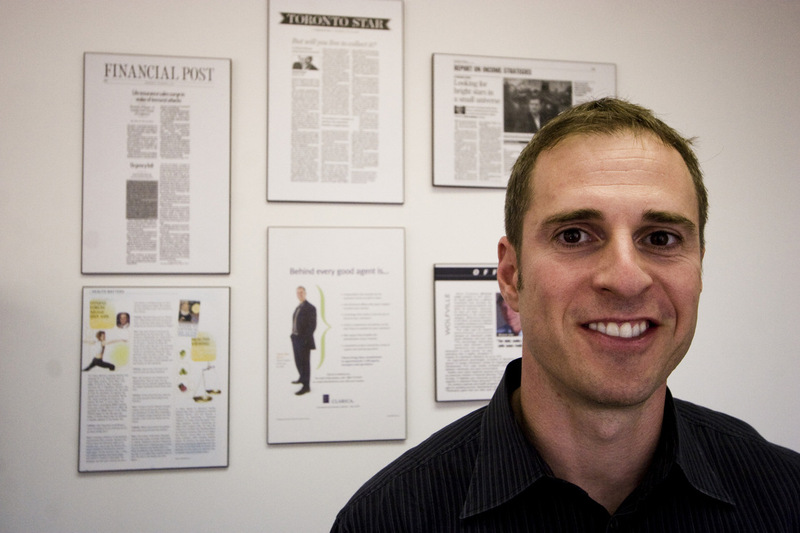 Initially, Kinnear and the Foliovision team mainly worked on the marketing side. Now Foliovision primarily provides web development and programming, as Marr is now able to manage the content and marketing part of his site himself. 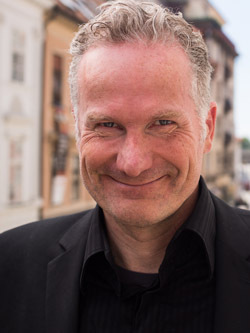 Marr has understood that quality content is the key to his site’s success and goes to great lengths to provide the very best: “I subscribe to numerous industry journals, finance magazines, and follow websites in the US or the UK to get inspiration."